One of my great work pleasures is helping to translate the System of Profound Knowledge, as Deming called it, for new and different industries. 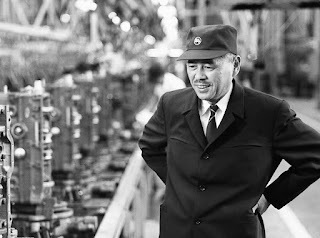 Taiichi Ohno, Deming, Shingo, Juran et al have given us fundamental principles gained through hard experience. But we have to translate these so they work for us in the here and now. It’s fun translating visual management, standardized work, quality in the process and other fundamentals in industries like software design. Agile, Scrum and related practices are very simpatico with Lean. In fact, if I may suggest, they are Lean’s child (or grandchild). If we check well, reality gives us frank, binary feedback: OK or Not OK. The answer is usually the latter! And, as ever, we learn by doing. Each organization’s journey is unique and their own. Coaches are guides, whisperers, and on occasion, taskmasters. Step by step we walk the narrow path to enlightenment and good business results! We must have both, no? We partially succeed – and that makes all the difference.